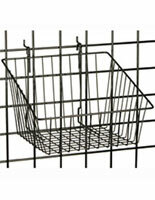 This Gridwall Basket Can Hold Bulk Items! 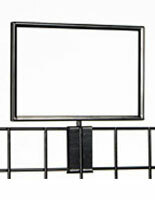 Easy-Attach Hooks Connect Securely To Slatwall or Grid Wall Panels! 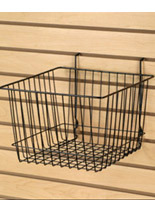 This Economical Retail Gridwall Basket is Available in Bulk Online at Wholesaler Pricing! 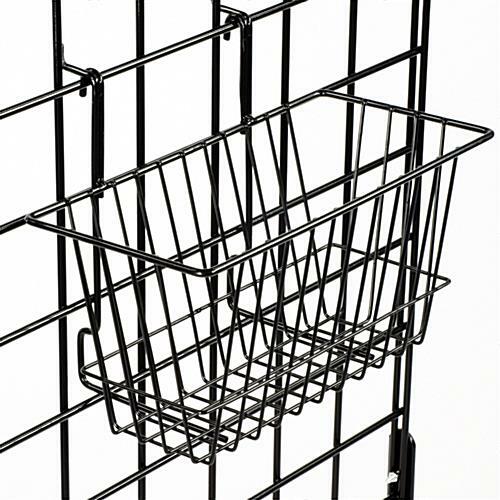 Rectangular rack has thin profile. 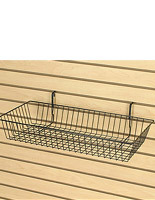 Rear-mount hooks attach easily to slat wall or grid wall panel systems. 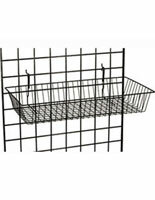 Steel construction has attractive black finish. 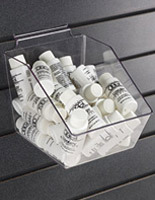 12.0" x 6.0" x 6.0"